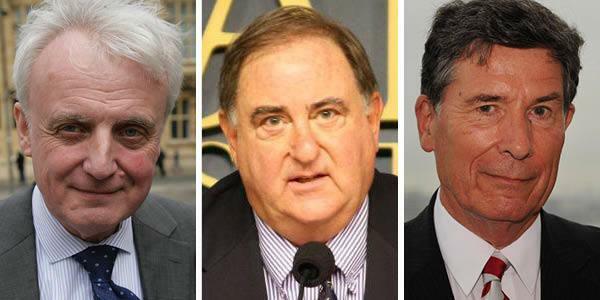 FBI informant Stefan Halper, who infiltrated the Trump campaign for the FBI during the 2016 election for the purposes of espionage, said that Russians had infiltrated the University of Cambridge where he works - allegations which those involved say are "false" and "absurd." Halper made the "false allegations" in December 2016 about a Russian co-worker based on her interactions with former national security adviser Michael Flynn at a February 2014 Cambridge Intelligence Seminar (CIS) - while Flynn was President Obama's Director of the Defense Intelligence Agency (DIA). “Stef Halper, who is currently under [Department of Justice] investigation for his activities, has been revealed by [The New York Times] as the source of the false allegations about me and General Flynn,” said Lokhova, a British citizen who was born in Russia. Halper told the Financial Times that he was quitting the CIS due to "unacceptable Russian influence on the group," which as the Daily Caller notes, "The evidence of Russian penetration was scant, with news reports citing a nearly $2,700 contribution to CIS from a Russia-based company called Veruscript." The 73-year-old American who split his time between his Virginia farm and teaching at Cambridge, approached several Trump campaign aides during the 2016 US election for purposes of espionage - on behalf of the FBI, headed at the time by the recently very quiet James Comey. Halper continued to spy on Trump campaign aide Carter Page well after the election, and now we find that he was trying to infiltrate the Trump administration. Halper approached Trump aide Carter Page during an election-themed conference at Cambridge on July 11, 2016. The two would stay in contact for the next 14 months, frequently meeting and exchanging emails. Then, after the election, Halper reportedly tried to infiltrate the Trump administration, pushing for a job in the State Department, according to Axios. Halper, a Clinton supporter, former government official and longtime spook for the CIA and FBI, was outed as the FBI informant who infiltrated the Trump campaign after the Washington Post and the New York Times ran reports that corroborated a March report by the Daily Caller detailing Halper's outreach to several low-level aides to the Trump campaign, including Carter Page, George Papadopoulos, and a cup of coffee with campaign co-chair Sam Clovis. Downer - the source of the Papadopoulos intel, and Halper - who conned Papadopoulos months later, are linked through UK-based Haklyut & Co. an opposition research and intelligence firm - founded by three former British intelligence operatives in 1995 to provide the kind of otherwise inaccessible research for which select governments and Fortune 500 corporations pay huge sums.